Table For One Please! - BREVILOQUENT. You would think that someone who says corny stuff like this might have a nut loosening up somewhere, or maybe is a self-proclaimed self-help utopic guru trying to make your life into this fairy-tale. But here is a thought, there is one person you will definitely live and die with; that person is you! This isn’t another self-help article, it is a basic idea where I take myself out, eat my favorite food and observe people or let some of own trickier thoughts coalesce. Even though I call this a me-date, I will be taking you along with me on my dates. 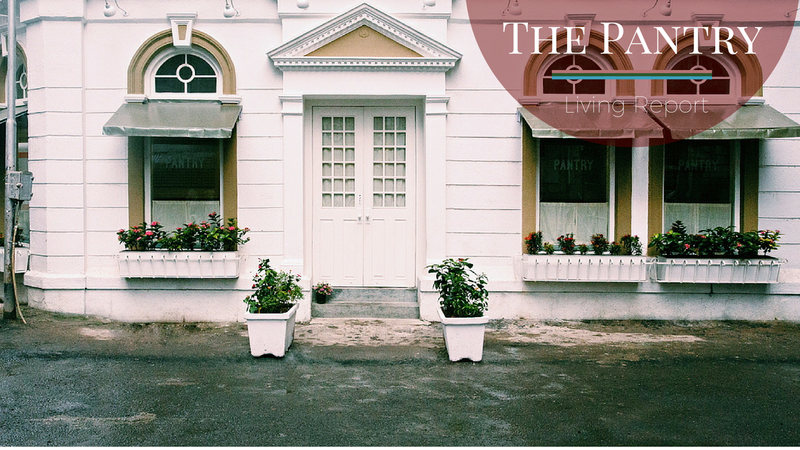 South Mumbai or as we 'Mumbaikars' affectionately call ‘town’, is a place for all story lovers. With heritage buildings at every turn and stories unfolding at every corner, this is one place where walking around by yourself turns into a romantic walk with history. Somewhere on one of these walks I ended up at Kala Ghoda. Obviously, most people have heard of the expansive Kala Ghoda Festival that happens every year, but apart from that it is an amazing tavern and has a little bit of everything. From fine dine restaurants to couture boutiques to small antique shops to quaint places where you can eat. 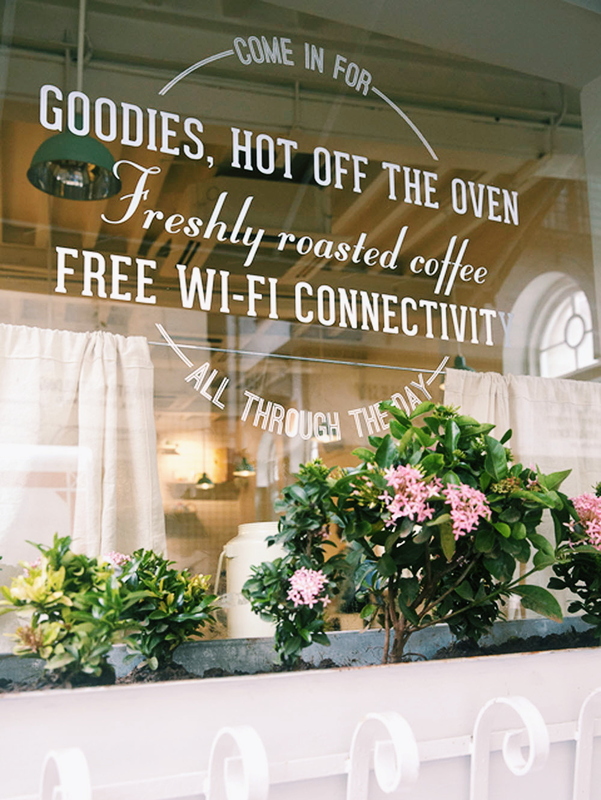 While I walked around and made a mental checklist of the things to buy, I stumbled on this quaint bakery. 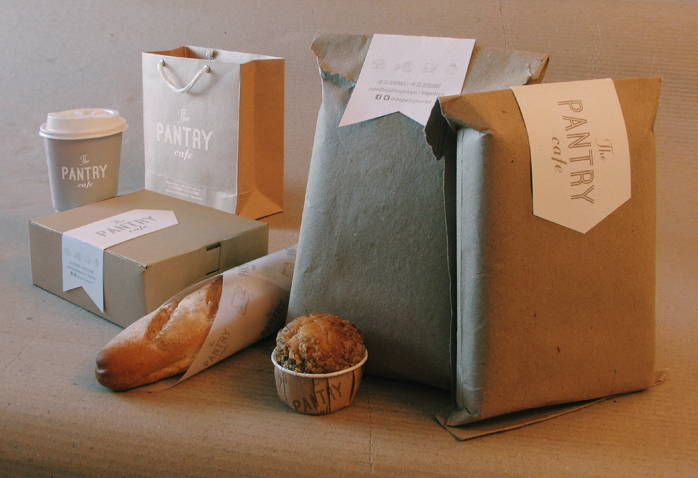 Quaint but fairly large, The Pantry, invites you in with a whiff of freshly baked bread. Now to people who live to eat and eat to live, this is like a warm hug. As I seat myself after politely declining the server who was expecting that I was waiting for someone, I decided to go through their expansive menu. From all things bread, to all things bread and sweet, I was in heaven. 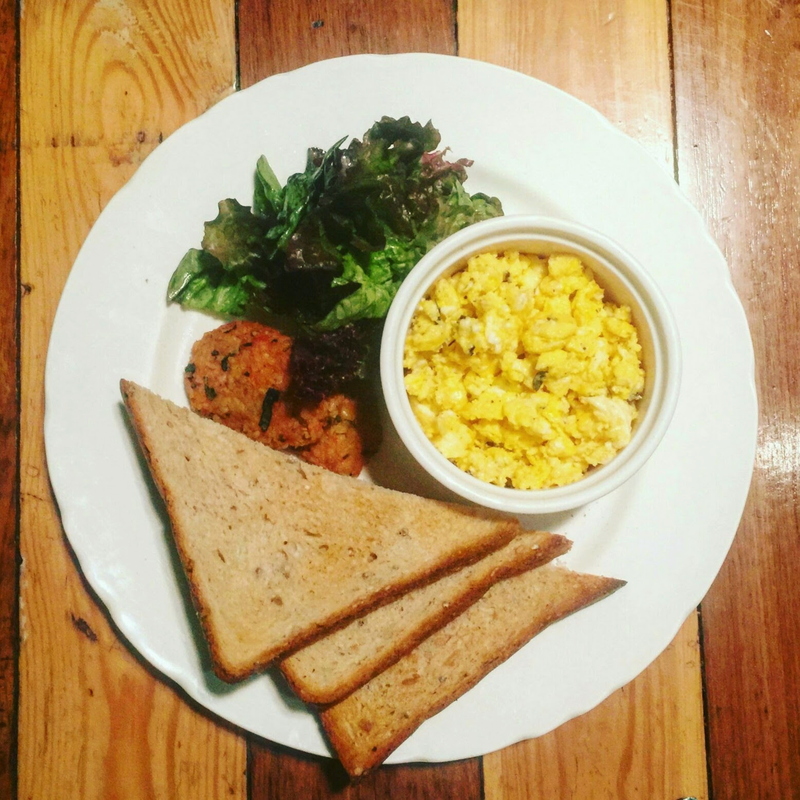 Being a big fan of all day breakfast, their breakfast menu attracted me the most. I called for a portion of the ‘Tomato scramble eggs with gruyere, fresh oregano, burgul hash brown - country loaf toast (without tomato).’ Yes, it is a mouthful. While I was waiting for my order, there was a couple beside me who were clicking a lot of pictures and selfies. Suddenly one of them said to the other, “this is the first time you are out with me as my girlfriend, we have to click a good picture.” Now, when it comes to mush, I am not a big fan, but this was definitely cute. My food was like a warm happy feeling on a plate, the eggs were seasoned perfectly which is something I miss at most other places. The hash browns were cooked to melt-in-the-mouth perfection. But the star of the show was the toast. I have not sunk my teeth into bread that delectable before. For those of you who have seen the movie Ratatouille, this was like a fireworks display of my senses. Once I was done with that, even though I had decided that I was going to gorge on some waffles, I decided I needed to try some sweet bread. That is when I noticed the banana bread on their menu and called for that. As delicious as its precedent, this banana bread would make the minions so happy! (Despicable Me reference guys.) It tasted of bananas and cinnamon; cute little mini bites on a plate. With my meal I had an Americano, which was satisfying but not as much as the food. I lounged around, read a book, salivated on the menu and then I went on with my walk. 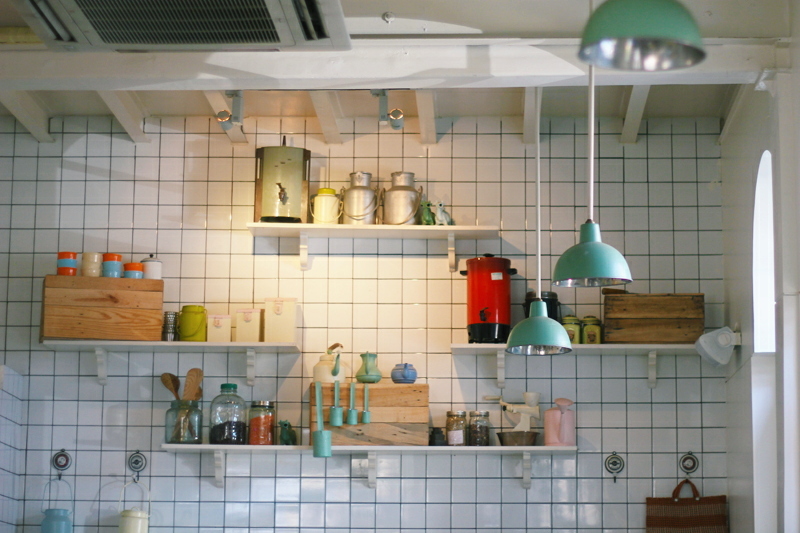 Go to The Pantry if you like a soft quiet ambiance, vintage decor and baked goods! They do have other options but c’mon, it is called THE PANTRY! Also try not taking anyone with you. Take the corner spot and look. Look at the people lost staring at their smartphone. Look at the couples too in love to care. Make some space for all those thoughts you forget to have when you are busy doing other things. Because the one person you're not talking to despite all those tweets, snaps and whatsapp texts; is YOU! Well, that’s it for this date, until I bring you more stories. Kannagi Desai - Judges hugs. she wont like you if you she doesn't like your hugs. She believes coffee makes everything alright. Claims to be boring as hell but we suggest you ask us before believing her. Thank you Chaicy! A very happy new year to you too! I am so happy to have landed on your blog, love your writing style. This place looks amazing! Thank you Phashionbug! Best wishes for 2016 to you too!